This self-confessed accidental project manager cut his teeth on smaller operations before launching into a three-year Defence program in northern Australia. But it was not until he left the defence force that he discovered mainstream project management with a role with the Queensland Government, a $300 million program to transfer more than 30 government agencies onto a new payroll and human resources system. He then joined Corporate Project Management (CPM) Group as a consultant, advising organisations and individuals, and assessing and benchmarking them in project management. 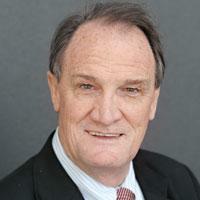 The owner of CPM happened to be then president of the Australian Institute of Project Management (AIPM), Colin Dobie. After five years at CPM Group, performing roles as director of the training arm and lead consultant in project management maturity benchmarking, Hudson set up his own consultancy practice, Primal Solutions. At the same time, Hudson’s involvement in the AIPM began to grow. He presented a number of papers at conferences and then became involved in the Queensland Chapter in 2005. His roles since then have ranged from chief judge at state and national level for the AIPM’s Project Management Achievement Awards to chair of the Assessor Panel, chair of the Standards Committee to Queensland Chapter President, which he relinquished to take the helm as National President of the AIPM earlier this month. Among the things Hudson pledged in his candidate’s statement was to highlight project management’s role as a critical success factor as well as to make AIPM a ‘household name’ in the private and public sector. Key to these two factors is increasing membership numbers and partnering with corporate organisations.